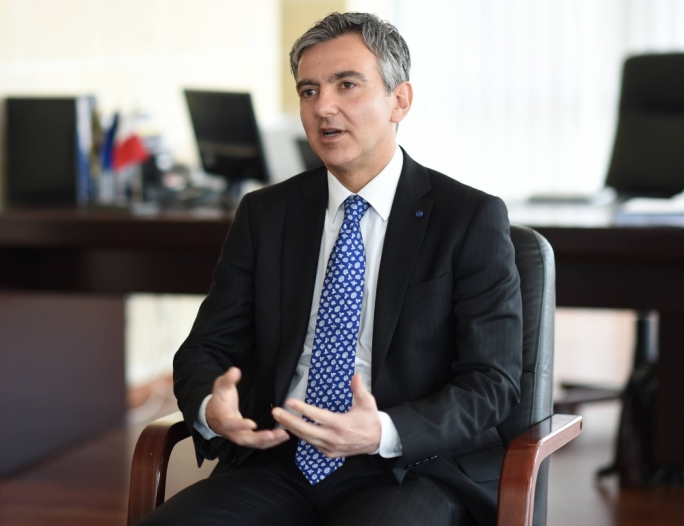 Simon Busuttil, PN leader, interviewed - May 2014 from MaltaToday on Vimeo. The last time I interviewed the Opposition leader – just over a month ago – Simon Busuttil was beaming with a quiet confidence that the European elections would mark’s the beginning of the PN gradual comeback. Fast-forward five weeks, and it seems that the PN is back to square one. Despite achieving his target of electing three seats, Busuttil is on the defensive, having to explain that the PN has a long way to go before returning to its glorious best. As we return to his office on the third floor at the PN’s headquarters in Pieta, I immediately ask Busuttil how he feels following the bruising defeat by over 33,000 votes. However, I retort that it must be discouraging to face a Labour Party which is building a hegemonic bloc last seen in the PN’s golden years in the 90s. 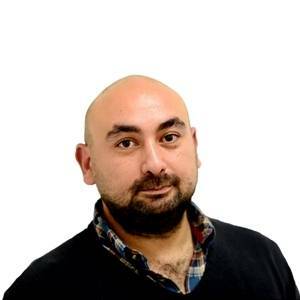 He adds that the election produced two results: the number of seats won by the parties and the vote tally, which saw the PN trail Labour by 13 points. I wonder whether this defeat could in some way be a blessing in disguise and strengthen his hand in ringing the changes within the PN. Turning back to the PN’s success in electing three seats, I note that the elusive third seat was only snatched by virtue of the way votes are inherited in the electoral process. Will you hide behind a Pyrrhic victory or do you admit that you were not expecting such a loss and that it was a big disappointment for the party? He adds that electing three MEPs was an honest, simple and clear goal and he achieved, “but the result in terms of votes strengthens my determination to build on this result. We have the third seat, which I assure you will be used to its full potential, in the best interests of the country, and we will use it to help the party do what needs to be done”. In the aftermath of the election, there have been growing calls within the Nationalist camp for the removal of the party strategists, who have survived the humiliating 2013 defeat and pulled the string in this year’s lacklustre campaign. “There is certainly is a problem of perception. The perception is that the PN has not changed. In reality, many changes have already occurred. Not enough, but many nonetheless. The leadership is entirely new. Financially, the party has once again become sustainable. The party’s statute has undergone radical changes. He adds that in truth, the PN has changed but it does not have a strong enough means of communication to impart this message. “We need to change the way we communicate so we can do so more effectively,” he stresses. But I ask Busuttil whether the problem lays in how the party conveys its message or in the message itself. In his reaction after the election, Busuttil was adamant that he would neither be resigning nor making a report on the result. I ask whether he feels that such a move can be perceived as arrogance, or as an attempt to escape judgment. The PN leader adds that he took the decision to stay on last year, when he offered to take up the leadership of the party and was chosen ahead of his current deputy Mario de Marco. “I am determined to lead the party – I will not give up at the first stumbling block. These things only make me more determined. “One can see this in the way I’m presenting it or in another way; that I am arrogant and twisting things around. I don’t see it as arrogance but as me taking responsibility and sticking around to do what must be done. In fact, right now I feel that the PN needs its leader to stay and see that the party once again becomes the political force it once was. How are you gauging this confidence? Is anyone within the party dissatisfied with your leadership? Last week’s defeat was the latest in a string of heavy defeats for the PN. Over the past five years, Labour has scored four impressive victories and the PN seems to be stuck in a rut. Will Busuttil stay on if he suffers another defeat in the 2018 general election? “In every instance, I have and will always shoulder the political responsibility,” is his terse reply. Since being elected party leader, one of the most controversial decisions taken by the Opposition was abstaining on the vote on the civil unions bill. In a clear attempt to highlight party unity, Busuttil failed to take a stand or at least grant his MPs a free vote. Was this a good decision? “The decision was taken, that chapter is closed. I choose to look forward,” he replies. But would he do the same if the party were faced with a similar dilemma, say on hunting or the decriminalisation of soft drugs? But I insist: would he be prepared to give MPs a free vote? Undoubtedly, the European elections campaign will go down in history books as the epitome of mediocrity, however one memorable event was the publication of the mock ‘sticker album’ as the PN upped the ante on government’s lack of meritocracy. However, the album included PN sympathisers who had been first appointed by Nationalist administrations, Labourites who were put in positions of trust and other prominent persons, including former PN employees Lou Bondi and Anton Attard, who were omitted despite being given appointments under Labour. The PN, he argues, should not shy away from the argument because of its past errors, but it should go ahead and show that what is happening now “is wrong, and what happened in our time was wrong too, and things need to be done right once and for all. In my view, the government has not only failed to fix the problems present when we were in government but went to worse extremes than before. Are we not to mention that? Yes, we need to talk about it. But we must talk about it with more credibility than we have now”. MaltaToday surveys consistently show that Prime Minister Joseph Muscat enjoys a 13-point advantage over Busuttil in the trust ratings, and at a time when the political landscape is transforming itself into a direct contest between party leaders, how does Busuttil intend to overcome this disadvantage? “First of all, one must accept reality. Muscat began on a high of a 36,000-vote majority. It stands to reason that he has such a high trust rating. The PN leader, whoever he was, was going to have to start from zero. From zero, I have progressed slightly but am still far away from Muscat. Busuttil admits that the PN was and remains disconnected from the people. He adds that overcoming this handicap has been the “biggest difficulty” he faced since becoming leader. He says Muscat operates by being “everything to everyone” but Busuttil and the PN will not go down that road.